Let’s say you regularly receive PDFs with disoriented pages from your colleague. You then use Rotate Left and Rotate Right in PDFpen to fix them. You’d probably like to see Rotate Left and Rotate Right in your toolbar. Or maybe you toggle the editing bar often. 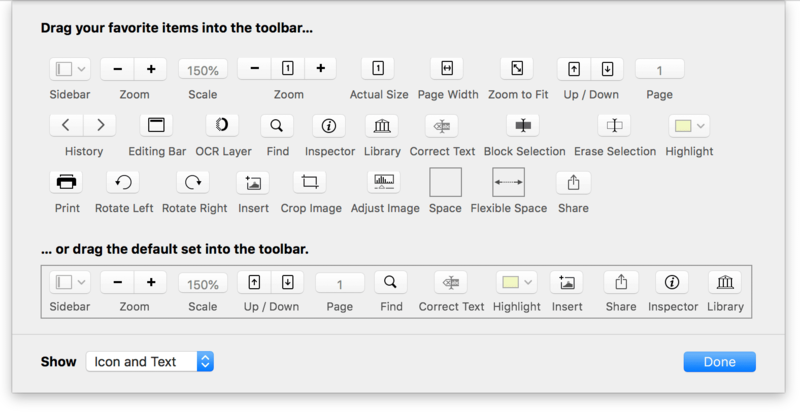 You could add the Editing Bar command to your toolbar to make that mouse-able. Perhaps you never use the Up / Down toolbar item and would prefer to use that space for other things. Here’s how you can add and remove commands from your toolbar. If you don’t like how things came out, just drag the entire default toolbar from underneath “or drag the default set into the toolbar” up to the toolbar, and it will replace whatever is there. If you want to remove a toolbar command, click and hold on its icon, drag it out of the toolbar, and let go. It will disappear with an animation and a satisfying “woosh” sound. Space and Flexible Space aren’t actually commands. They allow you to set fixed or adjustable spacing in your customized toolbar so that the layout is to your liking. Hope that helps you nudge PDFpen into the custom work horse you need. 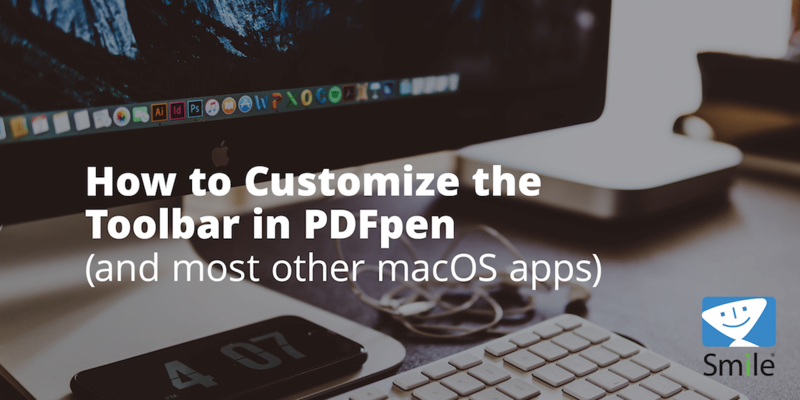 How are you using PDFpen? Let us know @PDFpen.